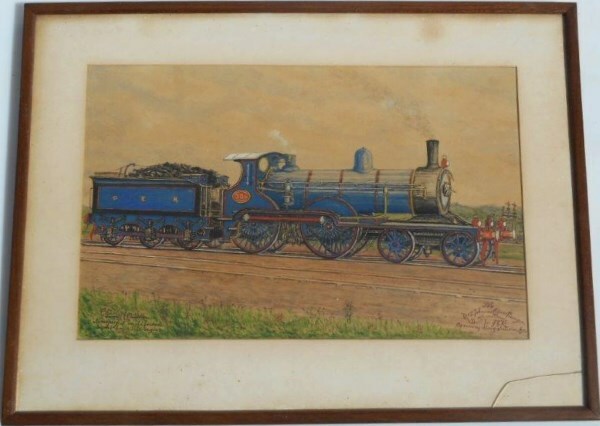 Lot 173 Superb "ONE OFF" Framed and Glazed Hand Painted Sketch of a Great Eastern Railway 4-4-0 Tender Loco Number 306 from the Victorian Era. Dedicated to his Neighbour and friend of the Artist early days who drove this locomotive? Artist Charles B Ivanhoe, Montpellier, Bristol. Excellent condition.